Kathie is a member of the PIDG Ltd. Audit and Africa Investment Committees. She was previously a board member of InfraCo Africa Limited from 2012 to 2018. Kathie has a strong infrastructure and energy background, having spent her career working in the area both within industry companies and banking. 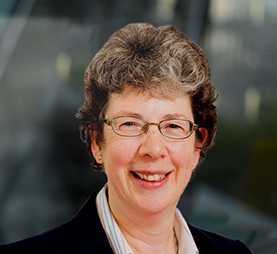 She is an experienced Non-executive Director, often taking the role as an independent on a board and has a portfolio of board positions internationally. Kathie has an MBA from Cranfield University, and attended at Oxford University where she attained a doctorate in Theoretical Chemistry having previously studied Chemistry as an undergraduate at the university.